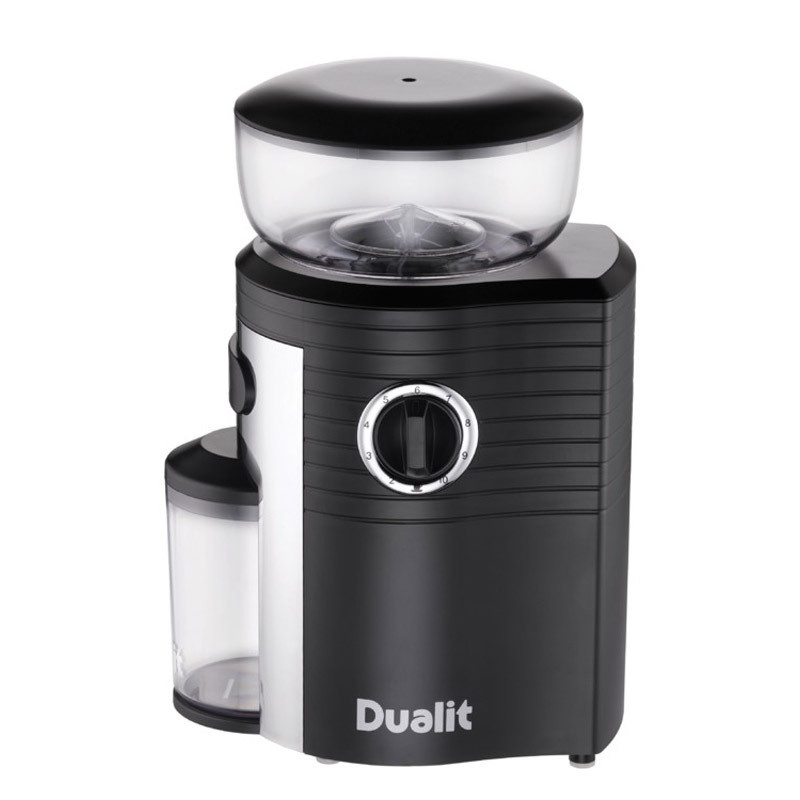 Dualit's conical coffee grinder produces consistently ground coffee and preserves the maximum aroma of the bean. This is only possible with a conical burr grinder which spins more slowly than other types of coffee grinders, minimizing the clogging effect of oily or flavoured beans and producing less heat resulting in a cooler grind. 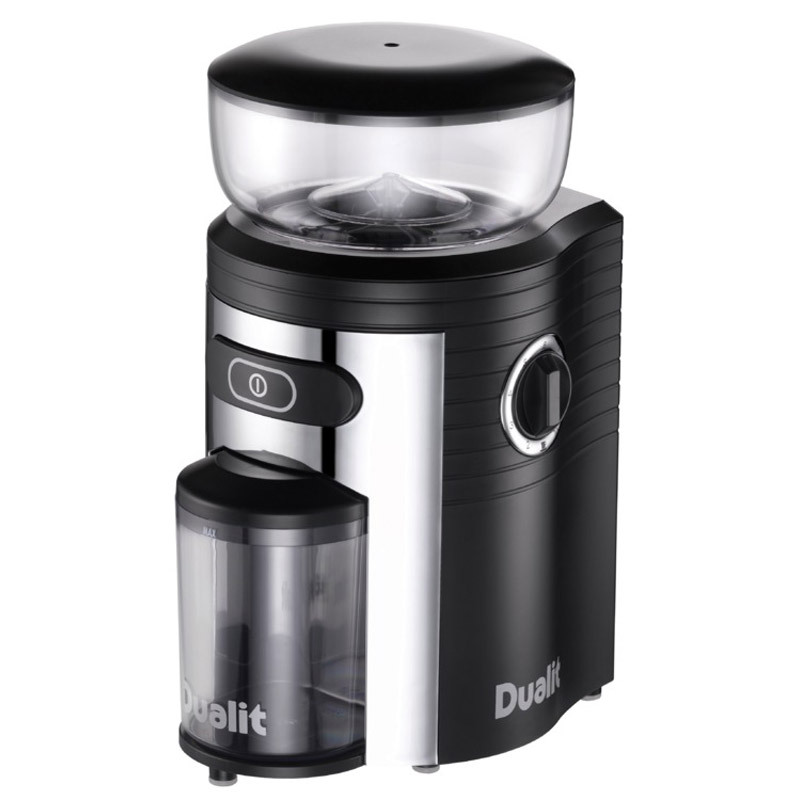 The Dualit grinder has removable burrs, making it quick and convenient to clean, this is particularly important if you're changing between, to preserve flavours. 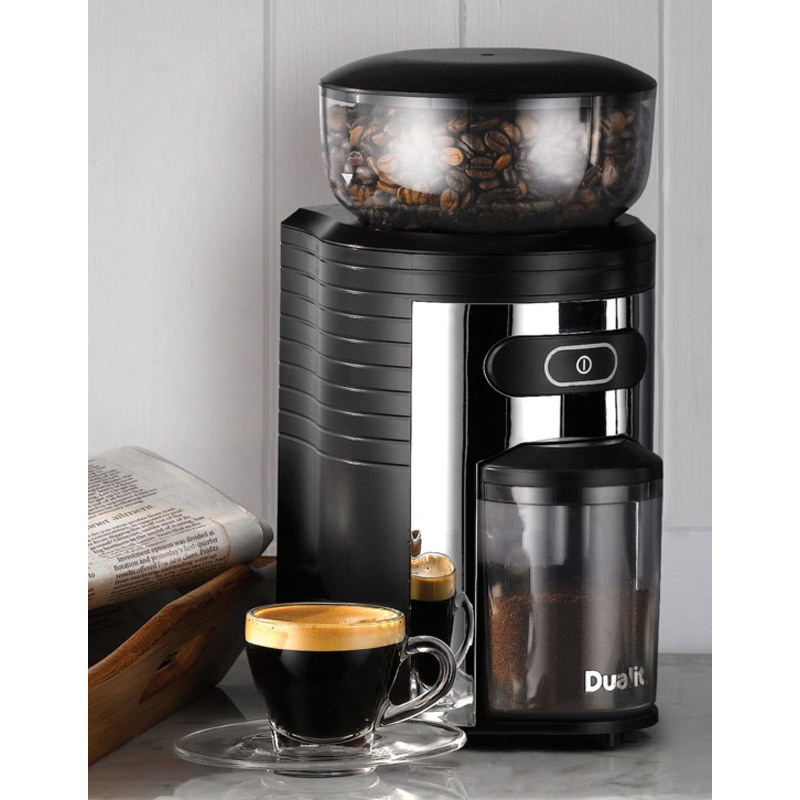 It's large 250g hopper holds enough beans to grind up to 35 portions without refilling and the portion control lets you grind only what you require each time. 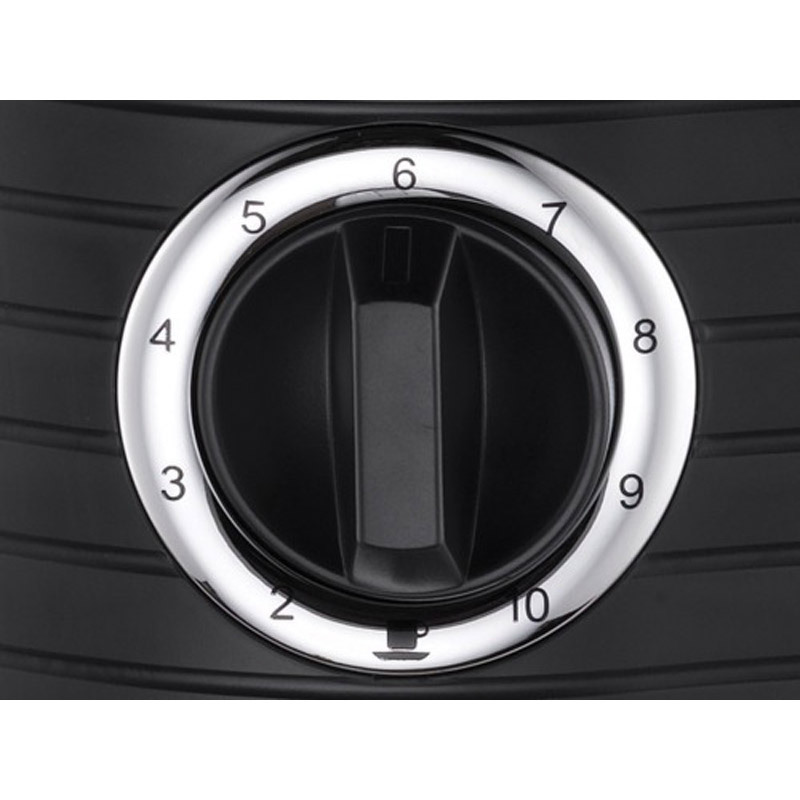 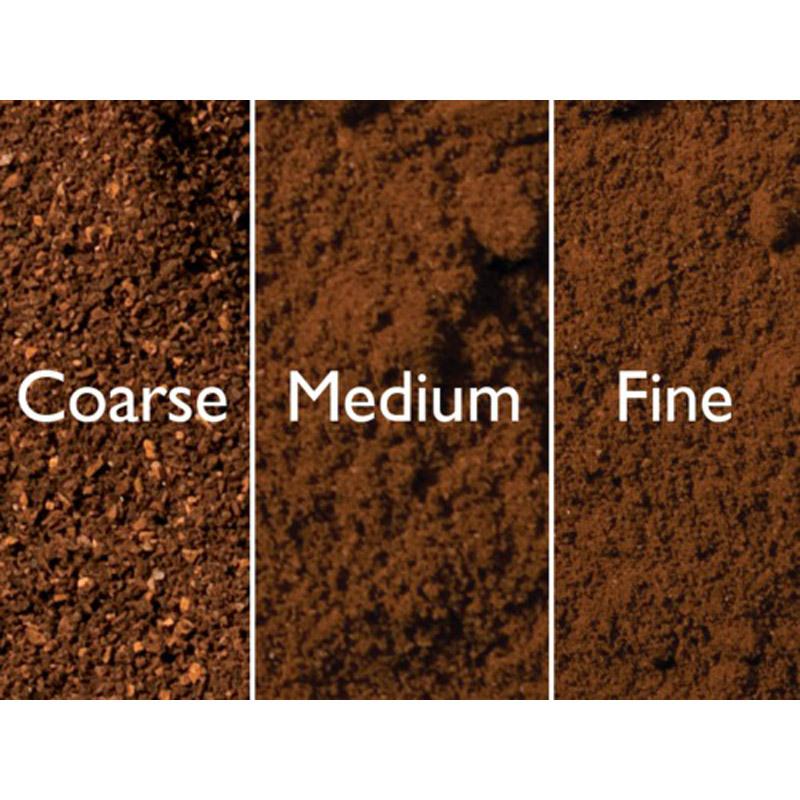 There are ten grind settings to ensure all your needs are met, whether you want your coffee coarse (percolators and cafetieres), medium (filter machines) or fine (espresso machines).